So many images from the Harry Potter books and movies have become iconic, from his eyeglasses and lightning bolt to the famous sorting hat and broomstick. All are instantly recognizable and represented here in this washi tape. You'll find lots of uses for it. Let your imagination soar. 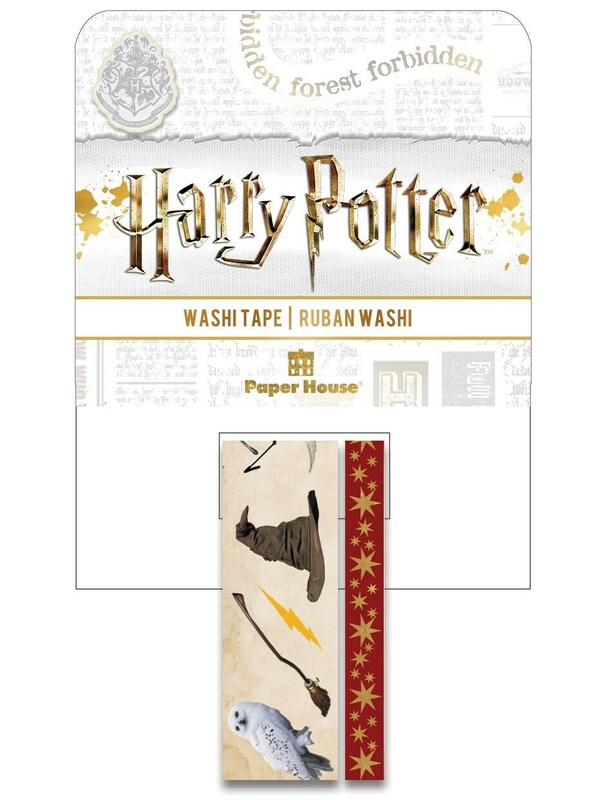 Add some fun to your planner, travel journal, cards and more with this officially licensed Harry Potter Icons Washi Tape Set. Finish edges, embellish gifts or just add a splash of color to just about anything with this set of tape featuring beautiful foil accents. Each package contains 1 roll that is 10m x 15mm wide and one roll 10m x 5mm wide. I got several rolls of washi. All of them were Beautiful washi, arrived quickly, easy to use, not like some washi that shreads when you try to peel it back or leaves sticky residue on the next layer. I can't actually review this, because it turned out that they were out of this particular set. They refunded my money right away though so they were great to work with.